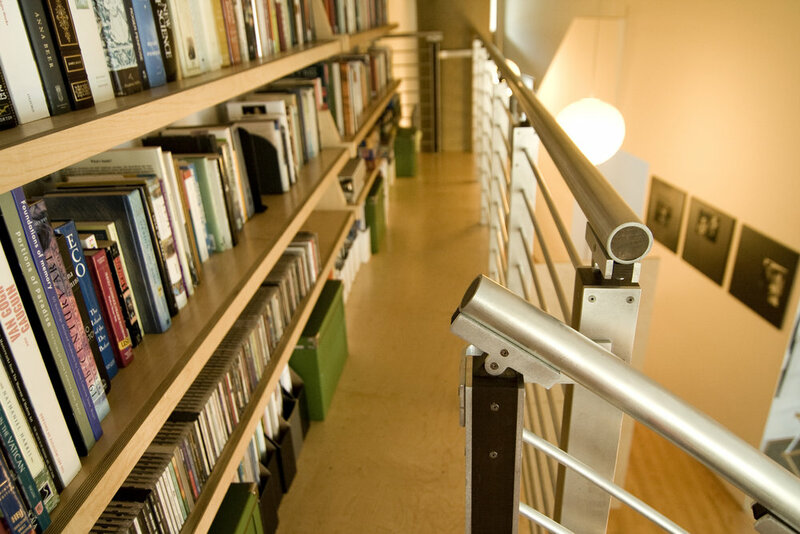 A combination of hardwood and aluminum, cut with computer controlled machining, creates the cool aesthetic of the railing and stairs. Wasting no space and creating a striking design, the stairs tightly hug the concrete pillar. A stunning two-story library loft with plenty of storage. 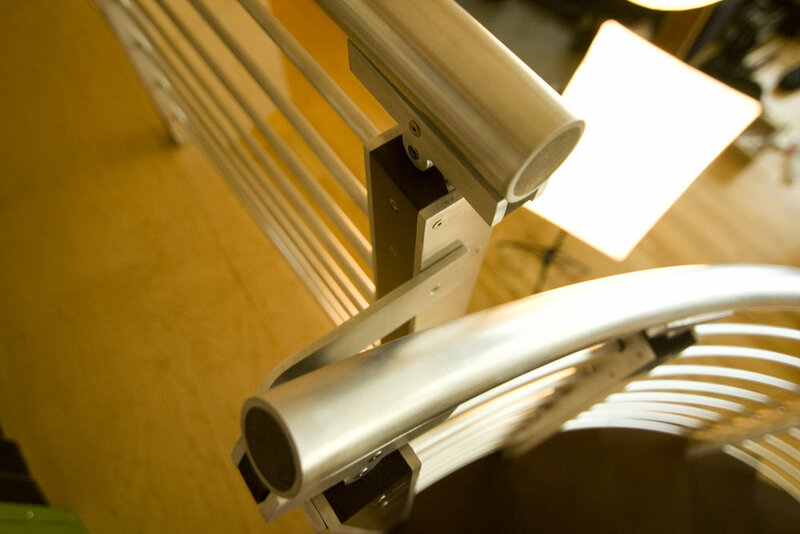 A combination of digitally fabricated aluminum and wood parts, creates a seamless and unique design. 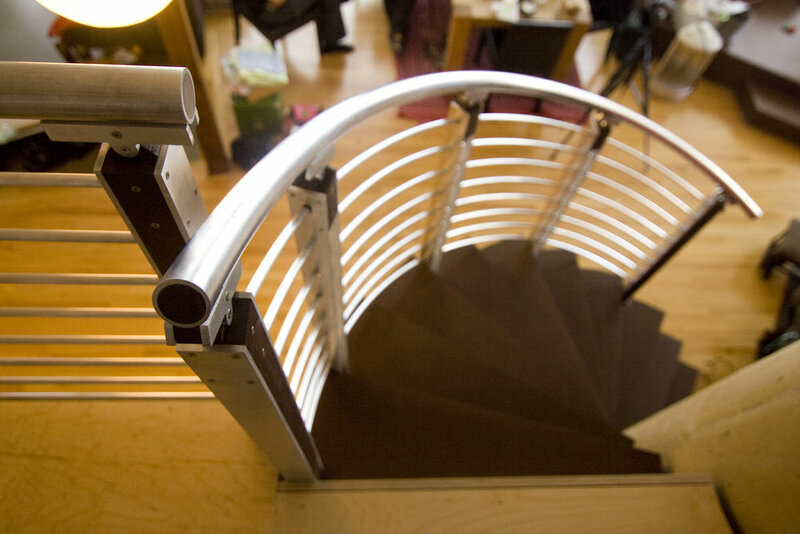 The playful almost-intersecting railings at the top of the stairs add a fun interest. The entire structure was delivered in just a few large units, keeping the installation time to a minimum. The lip of the rolling bench flips up to hold more storage and the flip down desk is illuminated by lights embedded in the above ceiling. Beautifully designed details in the joinery make this a unique and timeless piece. Wasting no space and creating a striking design, the stairs tightly hug the concrete pillar. 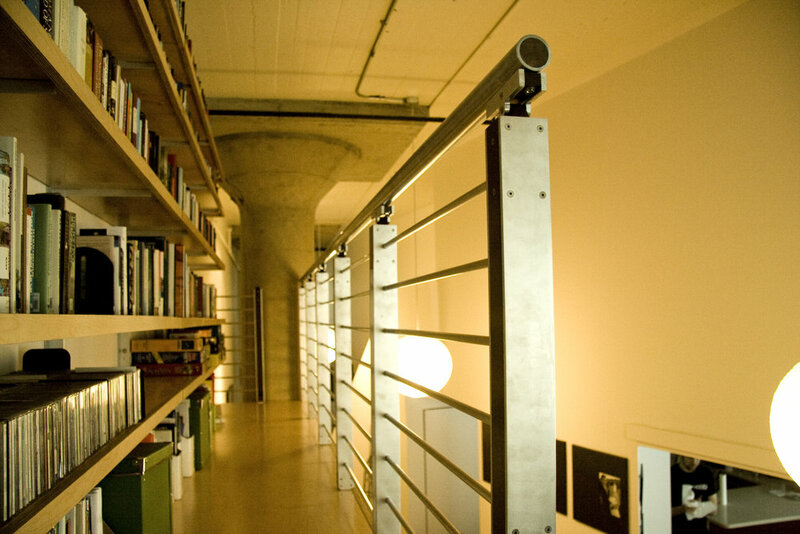 In a wide open loft space there are no good looking storage options, but plenty of vertical space. So we designed a stunning two-story library, with a modular desk, and a large storage closet. The box stairs provide double use for storage and display, wasting no space as they hug the contour of the concrete pillar.